Below you can view all the homes for sale in the Boulder Heights subdivision located in Boulder Colorado. Listings in Boulder Heights are updated daily from data we receive from the Denver multiple listing service. To learn more about any of these homes or to receive custom notifications when a new property is listed for sale in Boulder Heights, give us a call at 720-729-2286. The wrap around deck showcases the Foothill and city views. Welcome home! 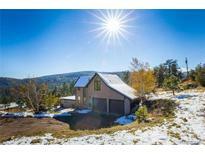 MLS#4936375. Coldwell Banker Residential 14. Good bones needs some TLC! Quick possession MLS#2399601. Marcotte Real Estate Group. Great place to call home, or use as an investment/rental property. MLS#2510118. HomeSmart Cherry Creek.